Natalie Joy and I watched the Sherlock series 3 premiere yesterday. It was great. The show has a distinct Doctor Who flavour this season, and I’m not sure I’m sold on that change, but so far I’m enjoying the season. Follow these shenanigans on Instagram! 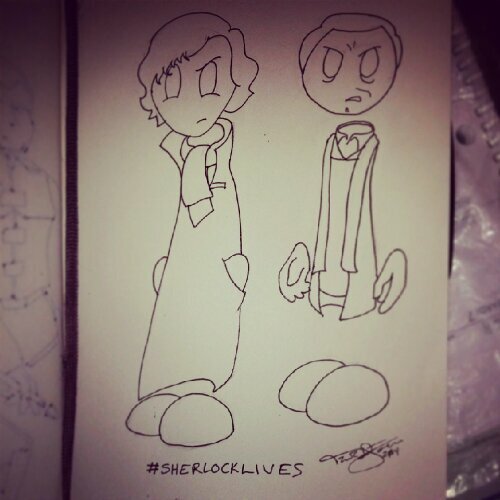 Tagged drawing, Sherlock. Bookmark the permalink.